When Melinda Gates speaks, the world listens. Ranked as Number 3 on the Forbes list of the world’s most powerful women, Melinda Gates yields an astronomical 28,600,000 results on Google search. 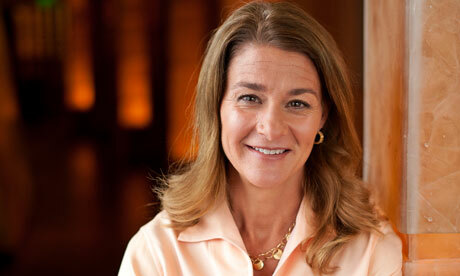 Just on the issue of women’s rights, the name Melinda Gates generates an interest equal to over 8 million results. Why such far-reaching interest? Women have been advocating for their rights and entitlements for centuries. Think back to feminist activists like Mary Wollstonecraft, Emmeline Pankhurst, Emma Goldman, and more recent advocates, like Simone de Beauvoir, Alice Walker, and Gloria Steinem.. And yet, in today’s world, perhaps no stronger voice could resonate among us on issues of women’s rights in the private, public, and other sectors of society. What exactly makes this voice so powerful, so far-reaching, and so influential? Can influence be attributed to the synergy that occurs when powerful organizations and influential individuals join forces to create change? What is it precisely that creates this synergy—the intersection of organizational and individual influence? The interface is powerful and elusive. We believe this kind of influence is increasingly contributing to changing social behaviour, cognition, policies and behaviour. Also, our recent literature review indicates that relatively little systematic attention is being paid to this interface, which significantly increases the power of corporations and their leaders to guide society. This notion holds the key to understanding a specific conjuncture that is vital to the range and depth of influence that is vectored from organizations. Let’s unpack this notion of ‘influence’. Influence operates in multifaceted ways. Governments try to influence the public through its policies and programs. Often the Prime Minister/President is the face of this influence. The private sector has been a dominant voice of the elite and wealthy, often attempting to gain both public and governmental support for their causes. Increasingly the private sector and some of the larger Not for Profit sector organizations are entering their leaders in the public sphere to gain favor and influence. However today, contrary to current popular belief that public opinion should sway governments and private organizations to behave congruently with the public’ norms, our increasingly globalized and “too big to fail” organizational world increasingly ignores the public voice and gains favor to do as they wish. In our own small way, we are heeding the call for further scrutiny in matters of influence, especially concerning organizational influence. While it’s clear that democracy works in different ways, it’s also clear that in today’s democracies public support is becoming increasingly insufficient and inconsequential. The public domain is where we see influence unfolding and changing behaviour. Our hypothesis is that the connection between organizational influence and individual influence make influence more impactful, more effective, and ultimately, more powerful. When Melinda Gates talks about issues of women’s equality, that voice represents a broader voice of concern than the voices of some corporate giants who argue for their own self interests. We are now in a battle over the values and norms of our society. This is a battle that is being waged not from the ballot box but rather from big organizations-some have the publics’ interest in mind but many others do not. Of interest to us is the transparency of these processes. When are attempts at influence actually covers for public manipulation?—and when is influence education? Which organizations and organizational leaders are using their influence for personal gain? How do we know how influential organizations truly are? Which organizations have the power to ignore public will? Can they be brought under public scrutiny? What is the influence that is shifting the opinion of decision-makers who are shaping our world? What factors are causing this influence? What do individuals and organizations bring to bear in using their influence to change behaviour? What tools do organizations use to change public opinion and behaviour? What approaches and strategies are being deployed? What kind of issues and messages are being prioritized? Noam Chomsky, “Force and Opinion”, Z Magazine, July-August 1991 http://www.chomsky.info/articles/199107–.htm Accessed May 28, 2015. Alan Rusbridger, “‘Farewell, readers’: Alan Rusbridger on leaving the Guardian after two decades at the helm” The Guardian, 29 May 2015 http://www.theguardian.com/media/2015/may/29/farewell-readers-alan-rusbridger-on-leaving-the-guardian?CMP=fb_us (accessed May 29, 2015). For over 30 years, Dr. Charles Lusthaus (@CharlesLusthaus) was a Professor in the Department of Administration and Policy Studies in Education at McGill University. During that time, he taught Educational Management courses in organizational theory and behaviour, strategic management, organizational development, planning, and monitoring and evaluation to over a thousand graduate students. Dr. Lusthaus is also a founding partner of the Universalia Management Group and is reputed for having pioneered an approach to institutional and organizational assessment (IOA). Today, the framework is used by a variety of international bodies including CIDA, IDRC, IDB, IUCN, and ILO. Dr. Sonia Cancian is a historian with a large number of publications on gender, family, and emotions in migration studies in Canada, the United States, and Italy. She has taught at Concordia University’s Dept. of History, and is affiliated with the McGill Institute for the Study of Canada (MISC) at McGill University as well as with the Simone de Beauvoir Institute at Concordia University. Tags: communication, influence, leadership, women. Bookmark the permalink.